Fox Digital Design Co. Free Recipe Card - Fox Digital Design Co. The baking bug has hit big time. With my background in food advertising, I decided to torment you with tantalizing images of this week’s dessert,Devil Food Pound Cake. 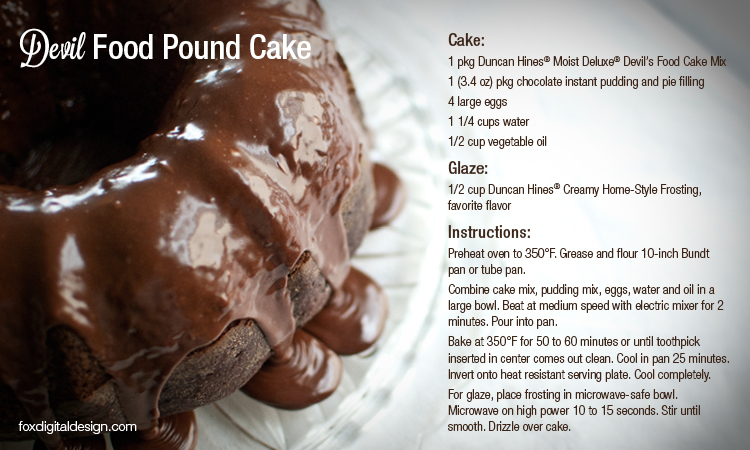 Since I am not totally heartless, I have included a free recipe card.